While Adam went to a Joystiq panel, I wandered around. 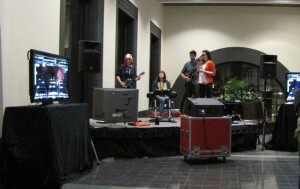 This was the Rock Band stage setup, very fun. A corner of the Console Gaming Room. 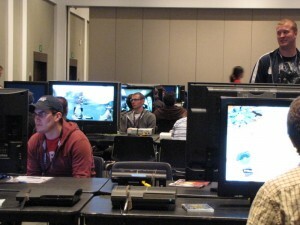 You give them your ID, and you get a game and controllers (hundreds of titles on Wii, 360, and PS3). 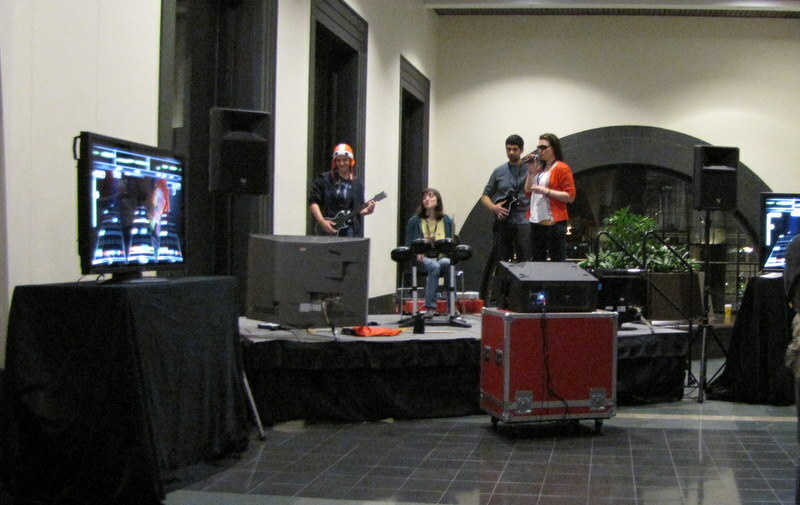 I played some New Super Mario Bros. last night with some friendly gamers I met standing in line. Today Adam and I played some Mario Kart. 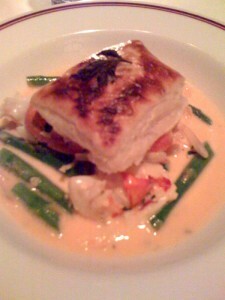 We had a late dinner (10:30) last night at Eastern Standard Kitchen, a really cool bistro. 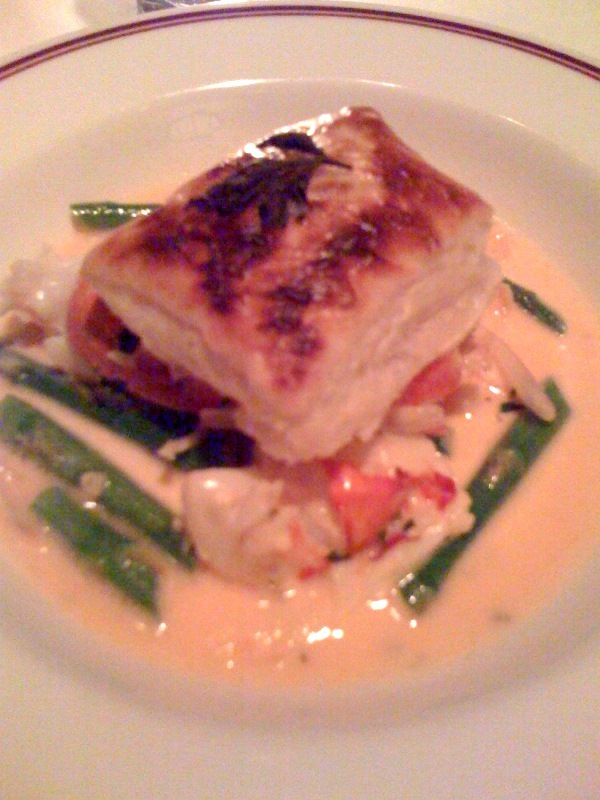 This was my appetizer, a special lobster with puff pastry in cream sauce. So. Good! Today all we really did was pack, play some more games, and go to this panel called “Pitch Your Game Idea.” Anyone can line up and describe their crazy idea for a game, which will never get made, but experts and insiders on the judging panel award prizes for the best ideas. The winners were a Lady Gaga game inspired by Michael Jackson’s Moonwalker, something called “Don’t Fall Out” where the point is to try not to fall out of things like cars whose doors have fallen off. The winning idea was called iDrag, an iPhone game where you put your phone on the dashboard of your car, and it tells you when someone else who has the game has pulled up next to you. Then you drag race each other, and your phones keep track of time, etc. Now back to NJ, but it’s another short week this week. My spring break starts Thursday afternoon.